Did you know that there are places that will offer you free things simply because it’s your birthday? 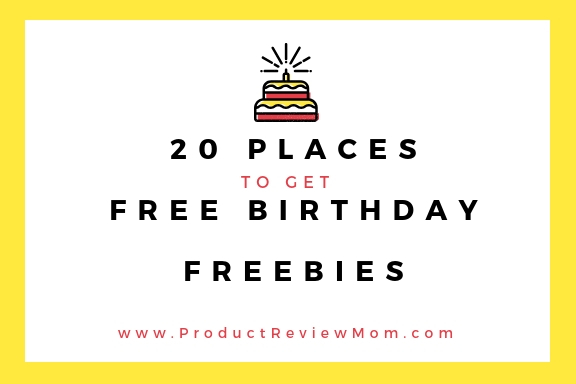 If not, you will want to keep reading today’s article as I’m sharing 20 places to get free birthday freebies. By signing up for Applebee’s newsletter you will be eligible for a free treat on your birthday. By signing up for a Baskin Robins account you’re eligible to get a free ice cream on your birthday. Everyone knows a birthday isn’t a birthday without ice cream! When you sign up for Cold Stone’s reward club they’ll send you a free creation coupon for your birthday. Signing up for Dairy Queen will land you a surprise coupon or your birthday and they even send out a surprise for half birthdays too. By signing up for Dave & Buster’s you’ll receive a $5 game credit for your birthday. On your birthday Denny’s will give you a free Grand Slam. Don’t worry about where you’ll get coffee from on your birthday because Dunkin Donuts will give you a free one on your special day. Plus, just for signing up for DD Perks you’re already entitled to a free coffee. Signing up for Firehouse Subs Rewards guarantees you’ll have a free medium sub on your birthday. Sign up for IHOP and get a free meal on your birthday. Sign up with Joes Crab Shack for a free cake on your birthday. Plus, as a reward for signing up, you get a free appetizer. Sign up for Rockin Rewards with Moe’s and get a free burrito on your birthday. Red Lobster offers a free surprise on your birthday for joining their rewards club. Sign up for Red Robin to get a free burger on your birthday. You’ll have 24 options to choose from. Wing Stop gives out free gifts for your birthday and just for signing up you’ll earn yourself some free fries. Join the Zaxby club and get a free Nibbler on your birthday. Plus, as a perk for signing up, they’ll send you a free sandwich coupon. Sign up for Auntie Anne’s and get a free pretzel during your birthday month. Sign up for FAB with bareMinerals and receive a surprise from them on your birthday. Don’t worry about where you’ll have dessert on your birthday because Buffalo Wild Wings has you covered when you join Blazin Rewards. Chick-Fil-A offers various birthday surprises. 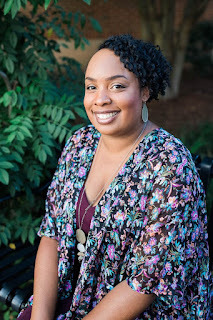 However, the birthday surprise depends on the franchise owner, so you must visit your local Chick-Fil-A’s website for further details. Go to Cracker Barrel on your birthday and you’ll be able to secure a free dessert. As you can see there are a ton of places that give out freebies just for it being your birthday. There’s no reason why your special day can’t be special even if you decide you want to spend it alone. Do you like getting free samples? Check out this post. Do you know of any more places that give out birthday freebies? Let me know so I can get them added to my list. I've been known for all of the freebies I get on my bday but I've been slacking as of late. Next year I'll have to try some of these. I slacked this year because I went out of town. But, I'll do better with getting my birthday freebies next year.